The dock ship “Rolldock Star” with the Indian submarine on the board at the entrance to the port of Severodvinsk. An Indian naval submarine ‘Sindhukesari’ is in the “Zvezdochka” shipyard in Severodvinsk for a refit and comprehensive set of repairs. The Indian Naval Ship ‘Sindhukesari’ has reached the Russian “Zvezdochka” shipyard (in the city of Severodvinsk on the White Sea) to be repaired and upgraded. Shipbuilders have added this order to their heavy workload. The “Sindhukesari” is a diesel-electric submarine. 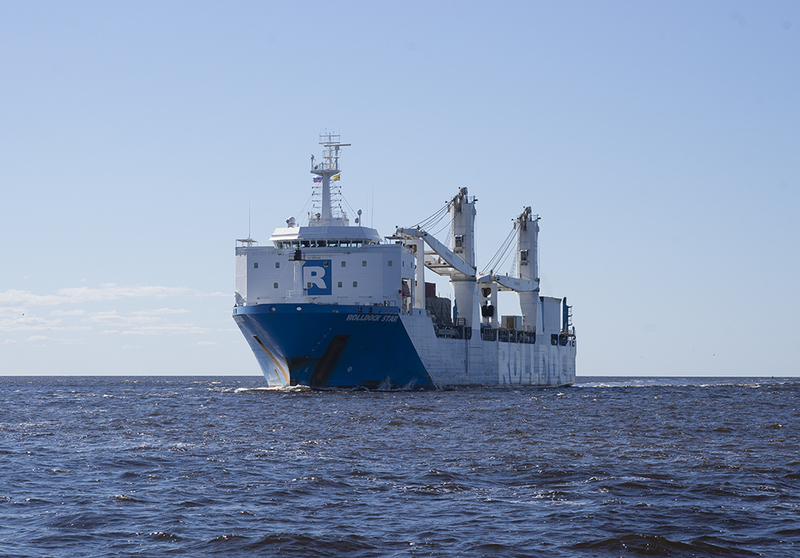 The dock ship entered the port of Severodvinsk on June 15. Over the coming days, the official representative of the shipyard Eugene Gladyshev said, the transport dock will be unloaded. After completion of border and customs formalities, the Indian submarine will be raised from the water and placed in the dock - chamber. The main work will be carried out in the renovated slipway. According to the contract, 27 months will be required on repairs with modernization. The “Sindhukesari” is the sixth submarine of those that were built in Russia as part of project 877EKM. They have been in active combat duty in the Indian Navy and, after the appointed time, they have come to “Zvezdochka” to refresh and extend the submarines’ service life. Since 1997, the Indian naval ships, “Sindhuvir”, “Sindhuratna”, “Sindhugosh”, “Sindhuvijay” and “Sindhurakshak” have undergone a similar procedure. For repair and modernization of another Indian submarine, the “Sindhukirti”, a team from Severodvinsk went to Vizakhapatnam, where the vessel was based. A second set of intermediate repairs will be performed on the ‘Sindhukesari,’ which was built in 1988 at the “Admiralty Shipyards” in Leningrad. The first submarine upgrade was completed by the St. Petersburg shipbuilders. Now, a similar submarine with a modern Russian system of “Caliber” cruise missiles (export version – “Club-S”) with a range of around 200 km will be integrated along with the replacement of used mechanisms. The decision to send the Russian-made submarine for repairs away from the Navy is not a simple matter for New Delhi. Taking into account the adopted national programme “Make in India,” that is gathering strength, it is twice as hard. Two of the four Indian submarines have already been included in the programme of factory repairs with modernization and will be refitted at home, in Indian shipyards with technical participation and the help of the Russian team from “Zvezdochka”. The issue of another one remains open. A diesel-electric submarine “Sindhukesari”, as stipulated in the contract between the CA “Zvezdochka” and the Indian Ministry of Defence of October 14, 2015, has been delivered for repair in Severodvinsk. The comprehensive solution will reduce the total repair time and allow all four submarines to return into the combat structure of the Indian Navy. Underwater boats that are part of the 887EKM project are designed in “Rubin” CDB for Marine Engineering (St. Petersburg) and are designed to combat submarines and enemy ships, and to defend naval bases, coastal and marine communications, reconnaissance and patrol activities. Their displacement is 2300 tons, length is 72.6 m, the submerged speed is 19 knots and the dive depth is 300 metres. The crew consists of 52 people, cruising time is 45 days. The armaments consist of six torpedo tubes of 533 mm calibre, which allow the launch of torpedoes, rockets, missiles and sea mines.